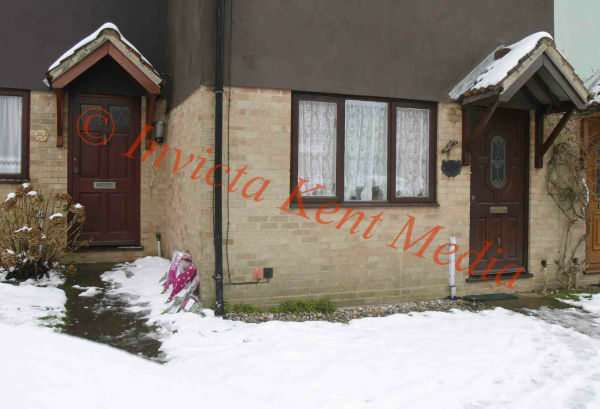 INVICTA KENT MEDIA: PICS SHOWS;Scenes at Church Meadows in Deal where Bernadette Lee age 24yrs was found dead. no 75 church Meadows is on the right of pic ,bernadette lee was found where the Flowers are laying in the path of no 73. PICS SHOWS;Scenes at Church Meadows in Deal where Bernadette Lee age 24yrs was found dead. no 75 church Meadows is on the right of pic ,bernadette lee was found where the Flowers are laying in the path of no 73.